Consultant Design Service to assist people when renovating residential properties for sale or to be let, in order to increase return. Emphasis on value for money. Offering simple, neutral and practical interiors to please the widest market. Home Staging for selling campaigns. Auctioneer, Estate Estate Agent, Licensed Property Services Provider 25 years in practice. 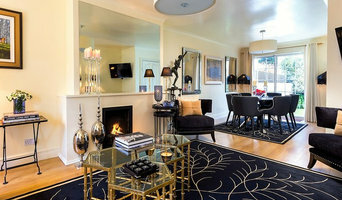 Home styling, staging properties for sale/rent. At Smart Home Staging we are helping the homeowners to sell their homes faster and at the best possible value! We will transform your home into a desirable market-ready product that will appeal to most buyers! Create a beautiful home fully filled with color, style, function and warmth. We will present your property in the best light, without spending a fortune and help to create a successful more profitable sale. The investment in Staging is less than a price reduction on your home! Avoid the stress of doing it yourself! We will do it for you and ensure your home is staged to perfection! Shop4Choice spin mop range for Ireland and the UK. Shop with us online or at our Artane store in Dublin. Home and house staging can involve any number of techniques. If you think your current interiors will be appealing to potential buyers then you may just need the help of Dublin home staging services to make sure your home is impeccably clean, tidy and organised; ready for viewings. Or a home stager may wish to hide the more personal touches of your home, such as photographs and souvenirs, and make it more neutral so new buyers can see the property as a blank canvas rather than someone else’s home. On the other end of the scale, a Dublin home stager can radically change your home if necessary, by redesigning rooms, repainting or revamping the whole house in order to increase the property value. Home staging companies in Dublin may even wish to change the exterior of your house in order to make your home more inviting. For example, they could repaint your front door and windows, clean up the frames, weed the garden and add extra touches like elegant door numbers and potted plants. The level of house staging services Dublin property staging companies offer will vary and they may actually work with other contractors to carry out their work, such as painters and cleaners. Here are some related professionals and vendors to complement the work of home stagers: Interior Designers, Photographers, Estate Agents. Having a discussion with an experienced Dublin home staging professional will help you decide what you need to do to your home to increase its selling value; whether it’s a case of simply home dressing or styling, or if you should really redesign and redecorate your home. Even if you’re not selling your home but instead want to get some house staging tips for hosting VIP guests or a special event, or perhaps you own a property or room that you rent out and you want to dress it up for photos, then home staging experts can offer their advice and staging services for these too. Find a home stager on Houzz. 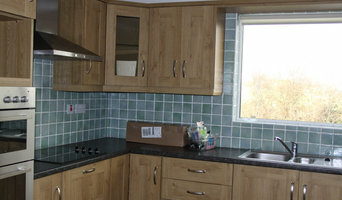 Narrow your search in the Professionals section of the website to Dublin home staging professionals. 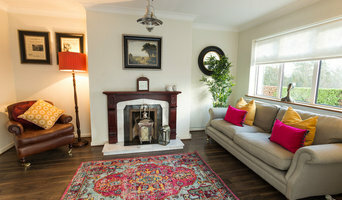 You can also look through Dublin photos by style to find a room you like, then contact the professional who staged it.